Editor’s note: This was contributed by Nathan Resnick, CEO of Sourcify, a platform that makes manufacturing easy. On my last visit to Hong Kong this past April, I was blown away by the rise in startups and incubators in the area. As a former expat myself living in Beijing seven years ago, it was incredible to see this area sprout as a rising center for innovation in Asia. The startup mindset goes against the “tiger mom” mentality of the East: in a startup, your child typically won’t have much stability and won’t have the pressure to attain high academic achievement. Startups have the ability to enable someone to fulfill their dreams and to feel like they’ve created something of their own. This feeling of ownership seems to have spread through Hong Kong, as I had the opportunity with two of the top incubators there, Betatron and Brinc. In these incubators, founders from across the globe come to turn their dreams into realities. After speaking with both Sam Ameen of Betatron and Nick Ramil of Brinc, it became clear to me why entrepreneurs have been heading to Hong Kong. Below are the three reasons why you should consider Hong Kong as a founding location for your startup. One of the biggest hurdles to overcome in any company is figuring out your supply chain. With an abundance of scams and fraud online, the best way to bring a product to life is to go directly to a factory. With the recent installation of the high speed train between Hong Kong, Shenzhen, and Guangzhou, two of China’s biggest manufacturing locations are a quick ride away. 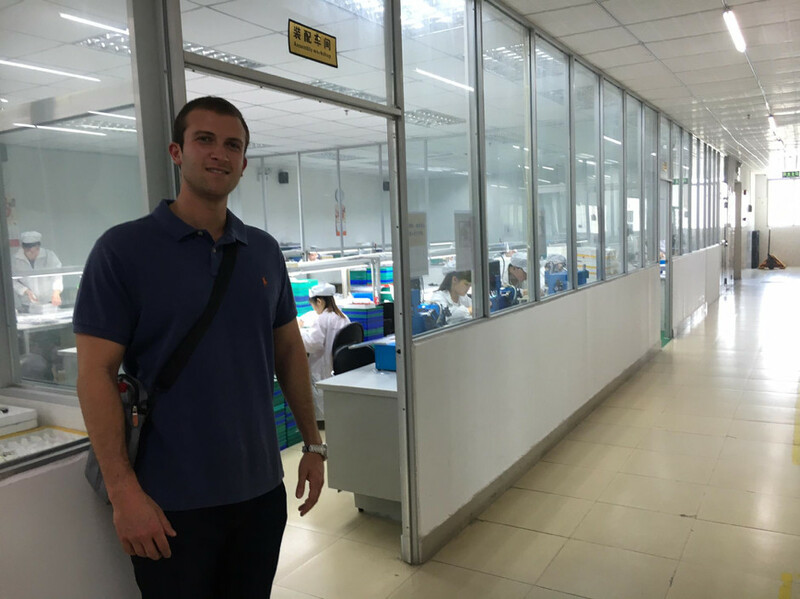 This enables startup’s based in Hong Kong to hit the ground running with production, as the access to these factories is right at their fingertips. For a incubator like Brinc with a focus on IoT, top graduates like SoundBrenner were pulled to Hong Kong by the ability to access factories. Now that their smart metronomes are distributed across Guitar Centers in America, their supply chain has become a crucial part of their business. One of the coolest parts of Hong Kong is it’s global background. On a night out in the city, you can hear five different languages being spoken within an earshot. This cosmopolitan background enables a new level of networking, as you’re able to access people with bases in home countries across every continent. This was vital for Pakpobox, a startup out of the Betatron incubator that has a network of mobile app controlled smart lockers that connects merchants, couriers, and consumers in addressing the pain points of last mile delivery. In under two months in the incubator, they have lockers in 5 countries and have generated over $700,000 in revenue. Hong Kong is also a global financial center and almost every bank has a office there. This enables incubators and startups alike to be surrounded by potential investors and financial institutions with the ability to lead a funding round. Though many of these banks have a fintech focus, they have also started to create venture capital funds of their own to get in on the action of early stage investing. Many of the incubators in Hong Kong are funded or partnered with a bank in the city. With the interest in Asia continuing to grow, it shouldn’t come as a surprise that Hong Kong’s startup scene has continued to flourish. With manufacturing centers closeby, a global mindset, and strong access to capital, Hong Kong should be considered as the next city to start a company in.